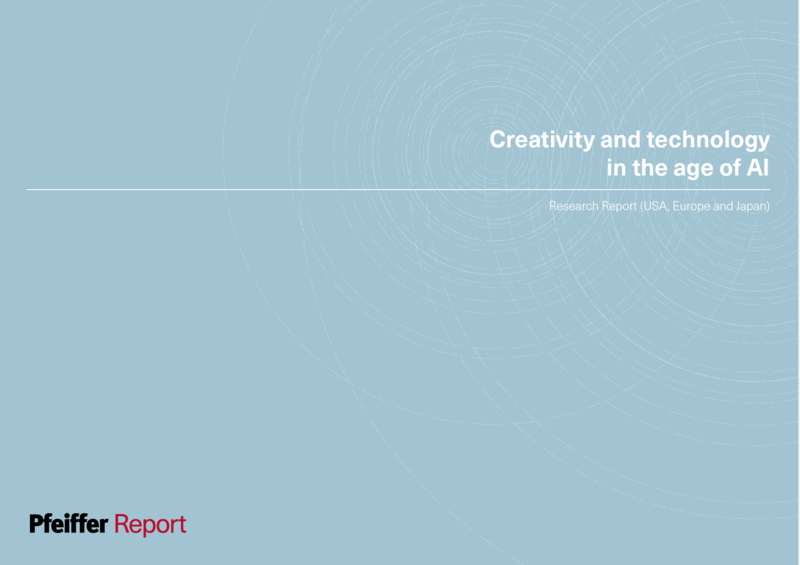 “Creativity and technology in the age of AI” presents key data and analysis from an international qualitative research study conducted by Pfeiffer Consulting during the summer of 2018. This research was commissioned by Adobe, with the goal to interview creative professionals in order to thoroughly understand the role technology plays in their creative process. The research also closely covered the role of AI and machine learning (ML), the attitudes of creative professionals to these emerging technologies, and their perceived impact on creative work. The research consisted in qualitative research interviews with over 75 creative professionals working in design, illustration and imaging, motion graphics and UX/UI design. Interviews were free-flowing discussions that lasted between 45 minutes and two hours. The research covered the United States, Europe (covering Germany and the UK) and Japan. Over 110 interviews were conducted. Professional experience ranged from 2 to over 35 years, and many of the respondents have produced work for companies such as Apple, Adidas, Amnesty International, Audi, Coca-Cola, Converse, Disney, Facebook, Google, Hayakawa SF, Instagram, Kelloggs, Nike (Gyakuso), Pepsi, Panasonic, Samsung, Swarovski, Tokyu Group, VW, WMF among many others. Participants were creative professionals who were found and recruited based on Behance portfolios and recommendations from other professionals. A minority of respondents were referred by Adobe, but most were identified by their portfolios and appreciations.